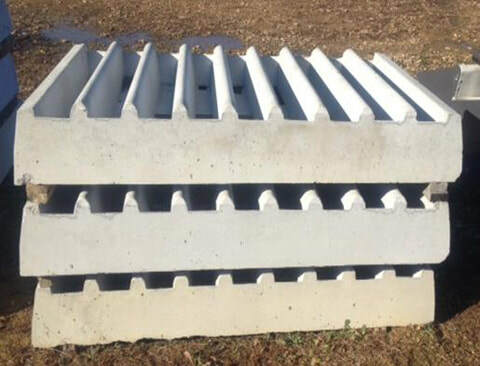 These items are made with 4,000 + PSI concrete and reinforced with rebar & wire mesh. They are heavy to move but built to last for those who are tired of buying disposable bunks and tanks. ​Exterior measurements: 10ft x 29in and 21in tall. Interior measurements: 9ft 6in x 22in 10in deep. 4,000 + psi concrete and reinforced with rebar and wire mesh. Weight 2200 lbs. 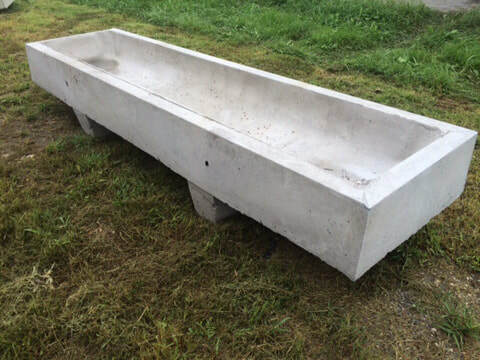 8' Wide J Concrete Bunk Feeder with open ends is reinforced with wire mesh, rebar, and fibers. With a 26in high back and a 12in high front and 38in wide exterior. Weight 2200 lbs. 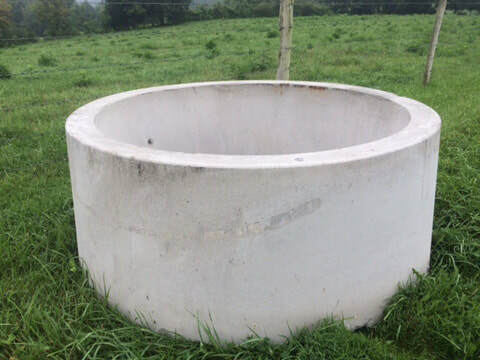 Concrete round water tank 475 gallon. Tank is 25in tall. 4,000 + psi concrete and reinforced with rebar and wire mesh. Weight 4180 lbs. CattleGuard 4 ft X 7 ft each section is 12 in deep and re-enforced with rebar. 1800 lbs. 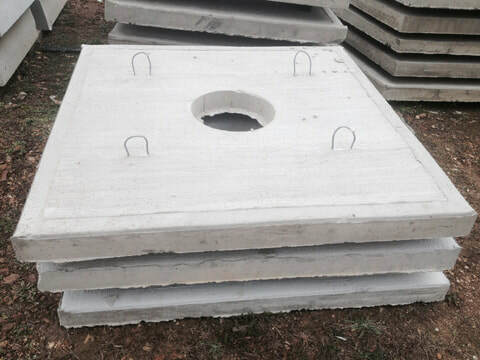 These Concrete Waterer Pads are used in the installation of electric and energy free waterers as well as concrete. 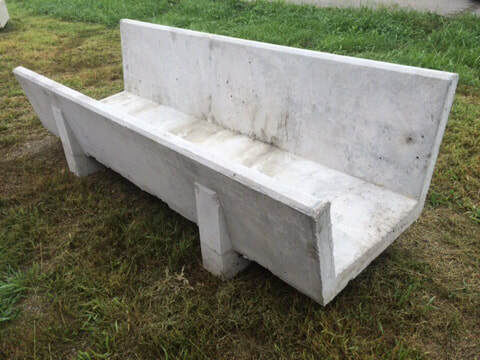 They are a 5ft x 5ft square of 4in thick concrete. A 15in I.D. hole is off-center for plumbing and/or earth tube. Complete with cable hooks on top for transportation of the product.